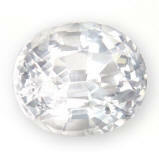 Jyotish White sapphire: High quality, untreated white sapphires for ayurveda and healing purposes. White sapphire is the Jyotish gems related to Venus, which is the planet of love, beauty, arts and married life. Like Jupiter, it bestow money, comforts and fortune on a person when it is strong and significantly well placed. It can be useful in the cure of venereal and reproductive system diseases. Wearing a fine white sapphire of at least 1.5 carats (or any of its astrological substitute like damburite of a t least 3 cts. ), is said to bestow happiness in married life as well as magnetism and attractiveness for the wearer. If you want to know more about the gemological, astrological and healing properties of white sapphires & diamonds, click here. Important: Important: The following pictures are highly magnified (30X) and do not show the gems' real size. Color and brilliance can greatly vary from computer to computer, depending on your monitor's settings. Color will also, naturally, vary from sunlight to indoor, incandescent light. Dark and lighter areas are effects from the digital camera. See description for accuracy on clarity grade, color and exact dimensions in mm. White sapphires, damburites and white gems are, in general, extremely difficult to photograph. Many of the photos below show some greenish or bluish tints or lots of grays. That it is an effect of the camera flash. In real life, all of our sapphires and damburites are top colorless, super sparkling, lustrous, and flawless. Brilliant, well cut & clean, unheated, Jyotish white sapphire. 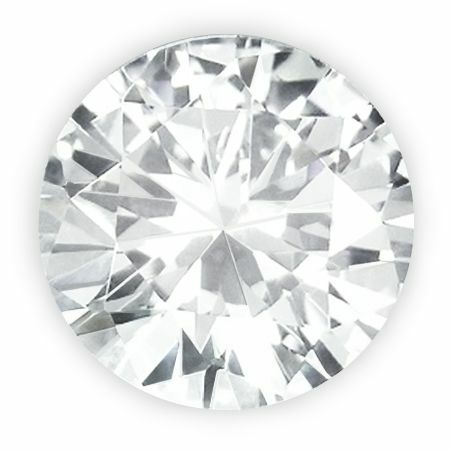 Colorless, clean, perfect cut & luster, 3rd party certified unheated, Ceylon white sapphire. This is one of those stones that are simply perfect. It was mined in Marapana, cut & polished in Ratnapura, Sri Lanka. The purest white hue in a perfectly cut cushion and with finest clarity. These levels of perfection are rare in white sapphires. Pure white, especially unheated are very rare. Possibly after the Padparadscha, a pure, diamond-like hue is the rarest in all the sapphire family. Beautiful & propitious stone this one. 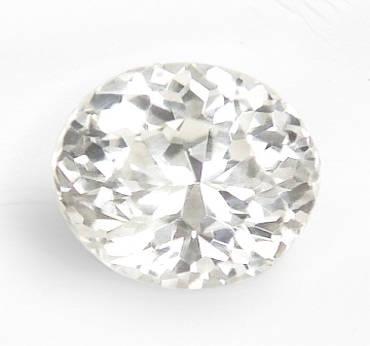 Finely cut, super clean, rare diamond cut, Ceylon white sapphire. Very lustrous & beautiful. A very brilliant, Ceylon white sapphire hailing from the gem fields of Marapana, cut & polished in Ratnapura, Sri Lanka. 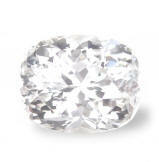 Diamond cut white sapphires are very difficult to get. As a lot of rough is lost during cutting, very few rough pieces are ideal for this specialty cut. This is a very brilliant, pristine & super clean white sapphire that is sure to set ravishing in any setting. 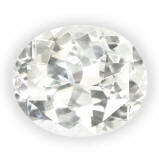 Very lovely, great shape, very white & eye clean, Ceylon white sapphire. Affordable. Simply a lovely, with rare cutting, Ceylon white sapphire, this one was mined in the Pelmadulla area, cut & polished in Ratnapura, Sri Lanka. Nicely cut in an unusual (for sapphires) emerald, step cut, this gem displays a great & imposing luster, good clarity, and overall a beautiful eye look & exotic feel... Bought it well, and offering it at a great price. 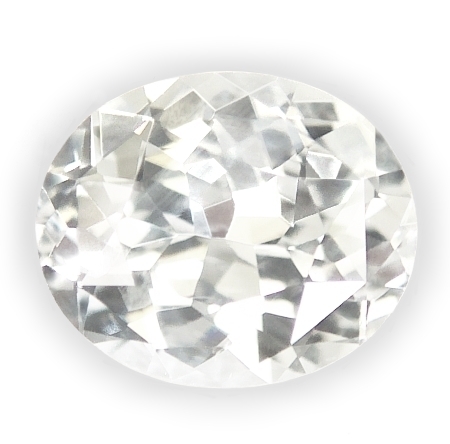 Perfectly serene, great cut and flawless clarity, unheated, Ceylon white sapphire. A most perfect, unheated, Ceylon white sapphire, mined in the Elahera area, cut and polished in Ratnapura, Sri Lanka. The perfect shape, flawless clarity, diamond feel are all there, ideal requisites for a perfect, Venus, Jyotish gem. Will mount exquisite either gents or ladies jewels. Accompanied by a gem stone memo by the "National Gem & Jewellery Authority" gem testing laboratory, Sri Lanka. Exotic, good size with a well defined star, unheated, Ceylon white star sapphire. A compelling, unheated, Ceylon star sapphire, mined in the Marapana area, cut and polished in Demawatha, Sri Lanka. If you are on a budget and still longing for a Venus stone, this is possibly the nicest one for the money. Stone is great, no nicks or internal crack, star is good and centered, and surely will make a great & unique ring or pendant. Great price as well as unheated material is soaring by the season. 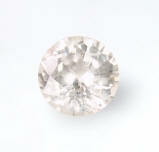 Bad pic of this super lustrous, eye flawless, low heated, Ceylon white sapphire. 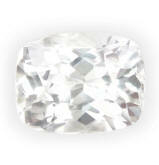 Unfortunately we were not able to depict the fine look and perfection of this low heat, Ceylon white sapphire. We guarantee very beautiful in real life. It was mined in the Marapana area, cut & polished in Ratnapura, Sri Lanka. It has a faint pink undertone, that adds an unique allure to it. The flawless clarity, perfection of the cut, and good size makes a perfect candidate for that special ring you have been waiting for. Fine sapphire. 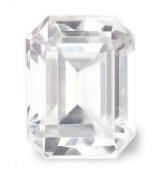 Spell-binding, well cut and pure white, rare, unheated, Ceylon white sapphire. A very beautiful, completely natural & unheated, Ceylon white sapphire, mined in the Kuruvita area, cut and polished in Ratnapura, Sri Lanka. As good as it gets, with finest white, no tint hue, great cutting, and super clean clarity, this gem is guaranteed to attract the benevolence of Sukra - Venus and to mount fantastic in any setting you are thinking of. White sapphires are possibly the rarest hue in the sapphire kingdom, together with the famed pink-orange and orange-pink hues of the Padparadschas. Unheated white sapphires are rare. Usually a pure, diamond-like hue is very rare. Prices for natural, clean and well cut stones have soared over the past 10 years. It is basically the very little availability of rough in the mining areas and the high demand of a sapphire hue once considered not marketable. 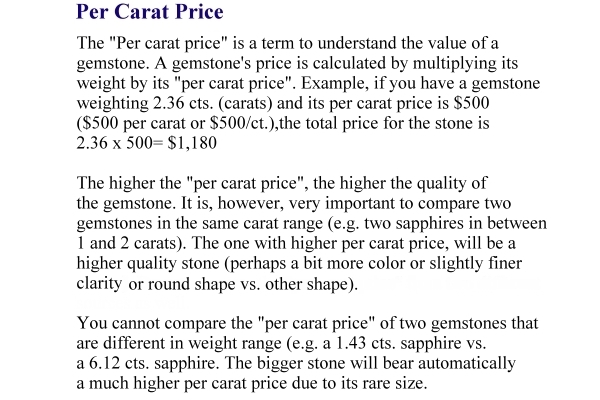 Beware of inexpensive prices, especially on stones over 2-3-4 cts. in size. Or they are synthetics (EBay) or they are included. And beware of easy availability of round and princess cut shapes over 6mm, (again found on EBay) as they are very difficult to obtain, and only sporadically cut. 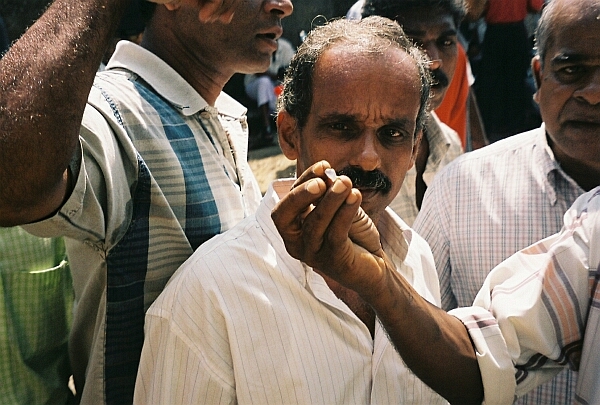 at the gem market in Ratnapura, Sri Lanka. 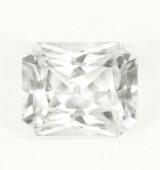 Delightful, well cut and clean, unheated, Ceylon white sapphire. 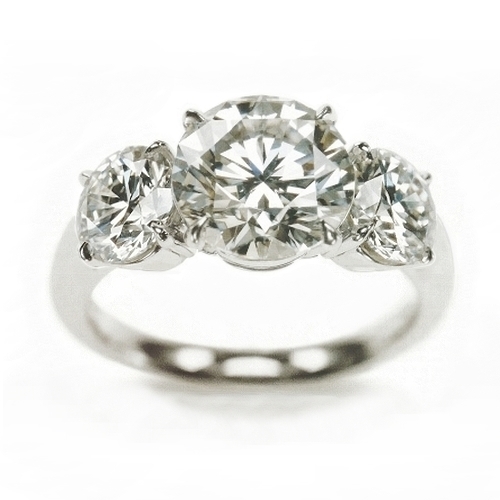 Round star cut, simply beautiful. A most lustrous and gorgeous, unheated, Ceylon white sapphire, hailing from the gem fields of Nivitigala, cut and polished in Ratnapura, Sri Lanka. A very faint yellowish cast, gives this unheated sapphire a beautiful sparkle and perfect luster. As clean as it gets, and perfectly cut. They are becoming rare, therefore take the opportunity to purchase them here. Captivating, finest colorless hue, well shaped with flawless clarity, Ceylon white sapphire. Beautiful and pure looking, this gently heated, Ceylon white sapphire was mined in the Kuruvita area, cut and polished in Beruwela, Sri Lanka. This is a bad pic, very grayish. Stone is colorless. 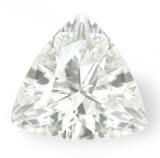 95% of white sapphire have a secondary, tinged undertone. Because of sapphire's nature of being dichroic as well, pure white colored sapphire are extremely rare. Gently heating to low temperature, will remove the tint to a pure white. Real lovely and sensuous colorless white sapphire that will mount fantastic. Perfection, beautiful & unpretentious, unheated, Ceylon white sapphire. A real pristine, beautifully shaped, unheated, Ceylon white sapphire, mined in an unknown location, east of Ratnapura, purchased the rough in the Balangoda market, cut and polished in Ratnapura, Sri Lanka. Unheated white sapphire are just very rare, and to find a completely colorless one, extremely difficult. This one meets all the criteria for an auspicious and beautiful Venus gemstone and without breaking the bank. Will set very well in anything you want to. 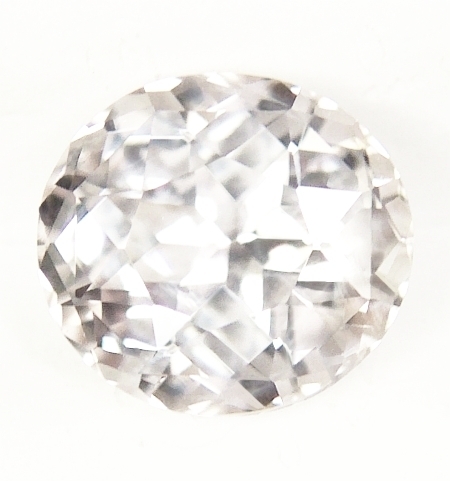 Unique, charming and well cut, unheated, Ceylon white sapphire. Rare beauty. 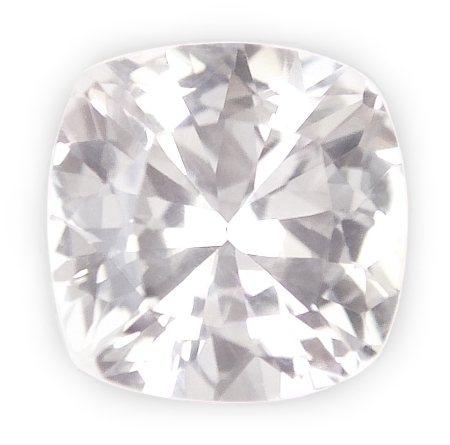 Spectacularly brilliant, 3rd party certified unheated, Ceylon white sapphire. Super gorgeous. What a brilliant sapphire. Mined in Nivitigala, cut and polished in Ratnapura, this gem is inundated with fantastic luster and exciting eye appeal. Completely natural & unheated, this will mount splendid in anything you will consider. Absolutely gorgeous. Certified by GIL (Canada-Thailand) as unheated. 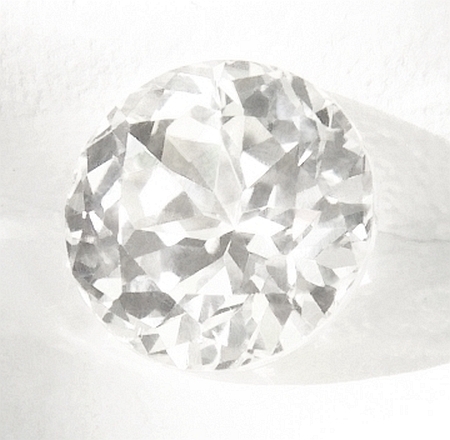 Brilliant and generous, perfectly cut, rare unheated, Ceylon white sapphire. Good size. A real charming, completely unheated, Ceylon white sapphire, hailing from the gem fields of Kuruvita, cut & polished in Ratnapura, Sri Lanka. Excellent sapphire, with a perfect cut, delivering an exciting brilliance and generous eye appeal. Excellent clarity too. Becoming rarer and rarer, unheated white sapphires are the best, natural alternative to the prohibitive diamonds. Accompanied by a gem stone memo by the "National Gem & Jewellery Authority" gem testing laboratory, Sri Lanka. A very beautiful, well shaped, Ceylon white sapphire. A very pure, Ceylon white sapphire hailing from the gem fields of Nivitigala, Sri Lanka. 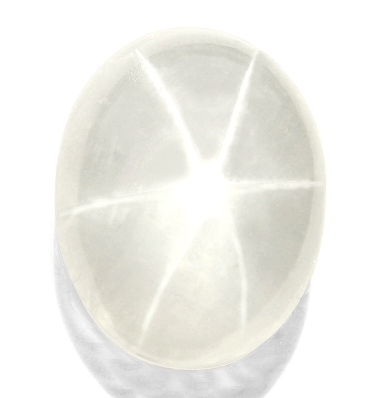 The white (colorless) color, is one of the rarest colors in the sapphire kingdom. It was many years ago that white sapphires were not considered a marketable and/or fashionable color. Nowadays, well, things have really changed. 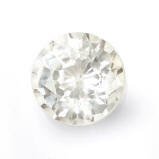 Very sought after, considered the best, natural diamond alternative, white sapphires are simply beautiful. This one will not fail to impress. Pure and auspicious. 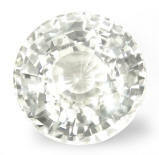 Adorable, top finest white, & flawless, Ceylon white sapphire. Beautiful one. A Ceylon white sapphire that simply exudes perfection. This one was mined, cut & polished in Ratnapura, Sri Lanka. A real beautiful one, possessing a complete colorless, diamond-like hue. Superbly cut, the gem delivers an outstanding scintillation for an eye feast and uplifted spirit. 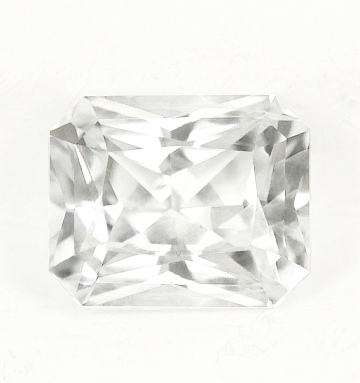 A beautiful white sapphire, & priced well. Charismatic, perfect cushion, rare no heat, Ceylon white sapphire. I love this one, and guaranteed much nicer than the pic. Mined, cut & polished in Ratnapura, Sri Lanka. The antique cushion shape is our signature sapphire cut, so unique, enthralling, and definitely beautiful to the eye. A most beautiful, clean & well cut, completely unheated, white sapphire hailing from the famed island-nation of Sri Lanka that will mount simply great. And offered at a very low price. Real nice. 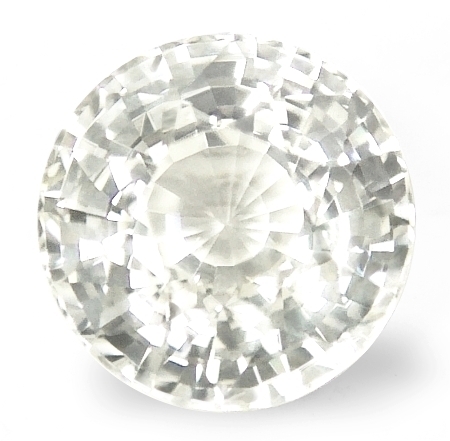 Very beautiful, finest crystal white, superbly cut, Ceylon white sapphire. Gorgeous shape. What a beauty! See it in real life and own it. This sapphire was mined in Elahera, and cut & polished in Ratnapura, Sri Lanka. A superb, clean crystal in a pure white color, shooting playful light & pure scintillation. And the unusual, but propitious shape is very well done, with perfect proportions and a large face, more like a 3 cts. stone. Absolutely gorgeous this one. 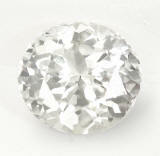 Brilliant, perfectly cut, Ceylon white sapphire, 3+ cts. Just awesome & auspicious. 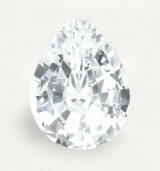 White sapphires are simply very scarce and hard to come by at the moment. A rare, Ceylon white sapphire, mined, cut & polished in Nivitigala, Sri Lanka. Awesomely shaped, this sapphire is inundate with pure luster, magical feel and a very sattvic, Venus energy. 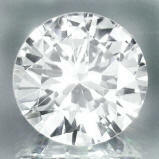 Cut to perfection, large face, this is a gem blessed with awesome eye appeal. Have it set in one-of-a-kind, Venus talisman from us, either ring or pendant, guaranteed beautiful & auspicious. Absolutely captivating, very well cut, unheated, Ceylon white (tinted champagne) sapphire. A give away. Lustrous, definitely charming, very well cut, unheated Ceylon white sapphire. Rare no heat white. 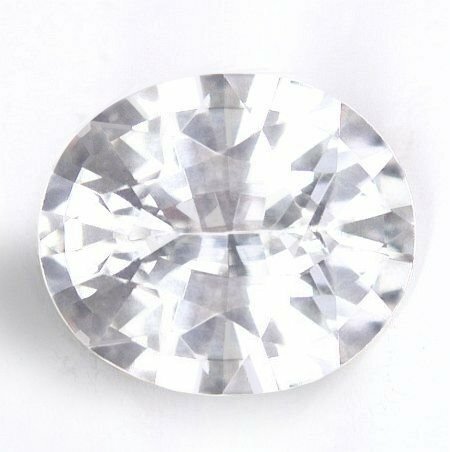 A very well cut, sparkling, natural & unheated, Ceylon white sapphire, weighting 1.25 cts., good white color, masterly executed, oval, 'flower" cut, and measuring 6.5x6.0x3.93mm, eye flawless, IF-VVS1 in clarity, from the gem fields of Balangoda, Sri Lanka. It is very, very common for an unheated white sapphire to have a light tint of yellowish, bluish, greenish or pinkish hue. It is basically the purpose of gentle heat treatment to the rough material to remove the natural tint and to produce a finer, colorless hue. This one is a great example of no heat white with perfect cut and blinding presence. Simply brilliant, perfectly cut, completely unheated, Ceylon white sapphire. A very lovely one. A most brilliant, Ceylon white sapphire, weighting 1.39 cts., good white color (with the faintest yellowish cast), masterly & perfectly executed, oval, "flower" cut, and measuring 6.40x5.62x4.48mm, eye flawless, VVS1 from the gem fields of Ratnapura, Sri Lanka. 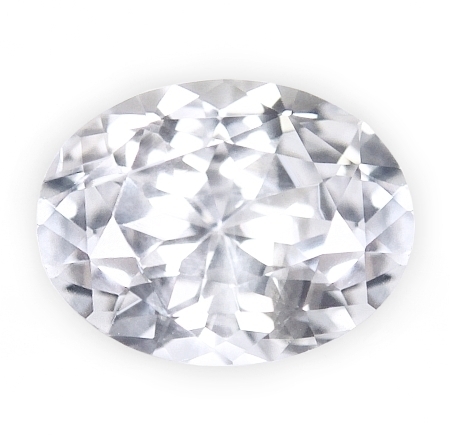 An awesome Ceylon white sapphire, completely natural & unheated, that is well cut, thus producing a vibrant luster, and a spell-binding eye appeal. Very well priced for this diamond-like gemstone. Uniquely & perfectly cut, definitely masculine, unheated, Ceylon white sapphire. Rare shape. I love this shape in a sapphire. This unheated, Ceylon white sapphire weights 2.35 cts., fine white color (colorless, comparable to a G color diamond), masterly executed, rectangular, emerald "scissor" cut, and measuring 7.82x6.41x4.93mm, eye clean, VVS2-VS1 from the gem fields of Pelmadulla, Sri Lanka. A nice, Ceylon white sapphire with a most unusual, but perfect cutting. Very masculine in appearance, this is ideal for a gent's ring, or an unique pendant. 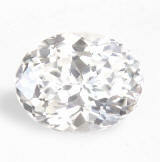 Scarce material, right now natural white sapphire are simply becoming very rare & difficult to obtain. Real nice sapphire this one. 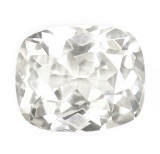 Ravishing & sparkling, perfect diamond cut, Ceylon white sapphire. The best natural alternative to a diamond. 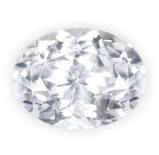 We have available few, natural, Ceylon white sapphires available in the most sought after, diamond cut. They average 0.9 to 1.1 cts., top finest white (colorless), perfectly executed, round diamond cut, measuring 6.2-6.25mm in diameter, eye flawless, VVS type2 from the gem fields of Ratnapura, Sri Lanka. Gorgeous gems, very sparkling, these are the best natural alternative to the artificially pricey diamonds...they mount well, will brighten your day and at this price, definitely a great, wholesale deal! Very limited number available...hurry! Graciously beautiful, brilliant, great spread, unheated, Ceylon white, (tinted pink) sapphire. Very unique. Very sparkling and radiant, this completely unheated, Ceylon white sapphire weights 1.09 cts., good white color with a faint pink tint, excellent, round, "flower", mixed cut, measures 6.4mm in diameter by 3.5mm deep, eye clean, VS2 in clarity, from the gem fields of Elahera, Sri Lanka. Unheated white sapphires are possibly the hardest to come by among all sapphire colors (excepted perhaps by the pink-orange Padparadschas.). This sapphire faces up completely eye clean with tiny crystals scattered under magnification, the sure, technical characteristic of its unheated state. Great spread, and overall very enticing, offered at a very low price. One of our best seller. The 3-gems, Ceylon white sapphires e-ring. 14K yellow or white gold, Ceylon white sapphire, stud earrings. 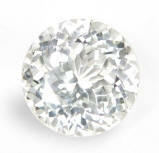 By popular demand, we now offer matching 14K Yellow or White gold stud earrings to our three-gems, white sapphire ring. 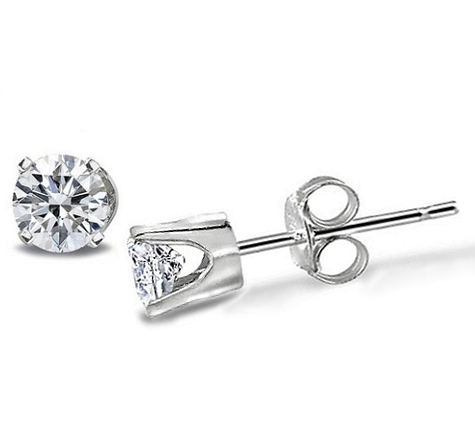 These studs are 4 prongs, heavy setting and ear post, truly sparkling and easy to wear. 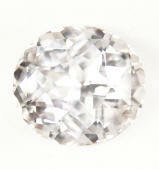 Available are 4 and 5mm, and occasionally 6mm round, diamond cut, flawless, natural, Ceylon white sapphires. 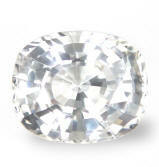 The 6mm are especially stunning, 1ct. 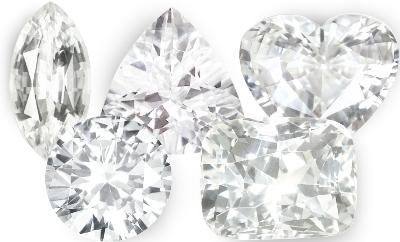 for each stone,... make diamonds envy....And at these sizes, they are very, very rare. Purchase the 3-gems ring and match earrings and receive a 10% discount on the total.